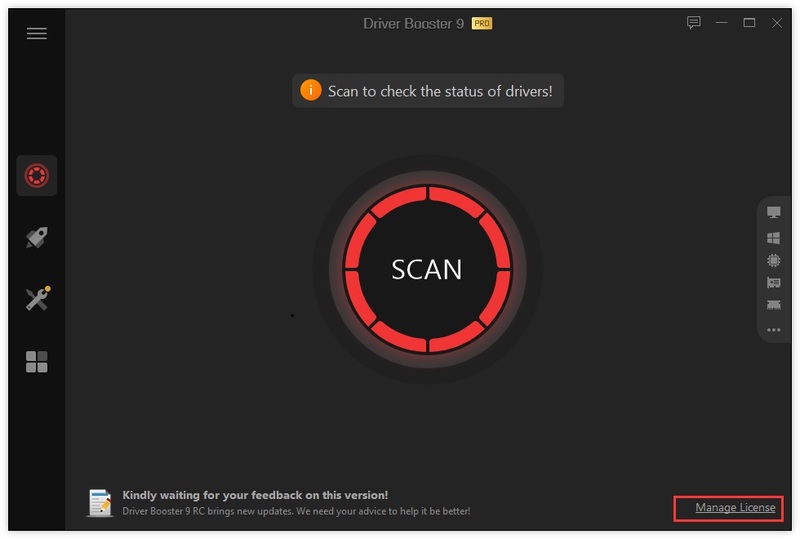 How do I register my Driver Booster 6 FREE to PRO edition? 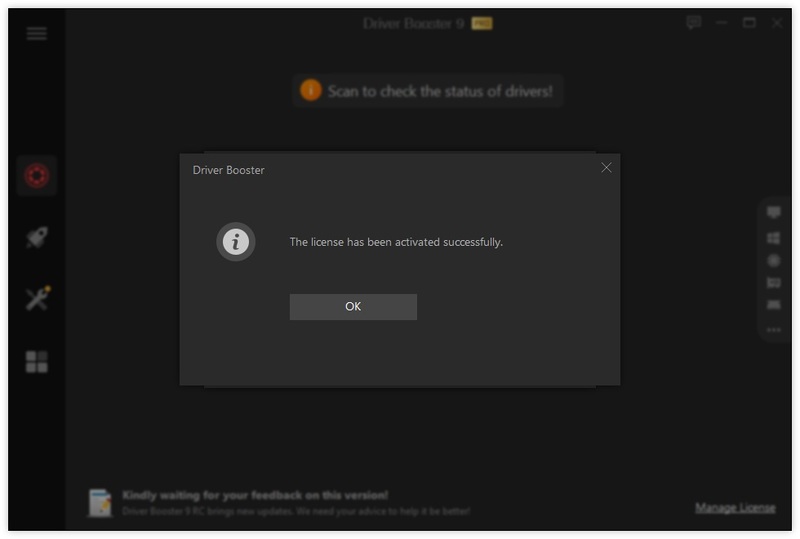 How do I refresh my Driver Booster 6 PRO with my new/renewal license code? 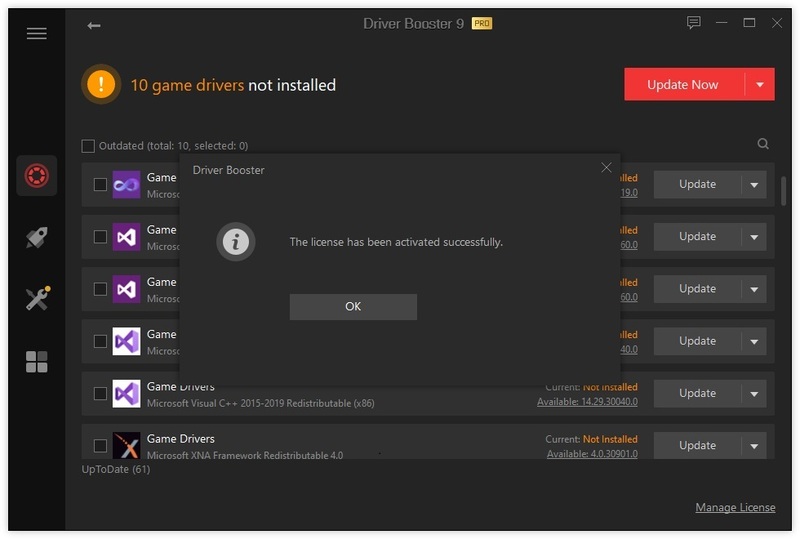 Note: If you do not have the program installed, click here to download the latest version of Driver Booster 6 and install it first. 1. 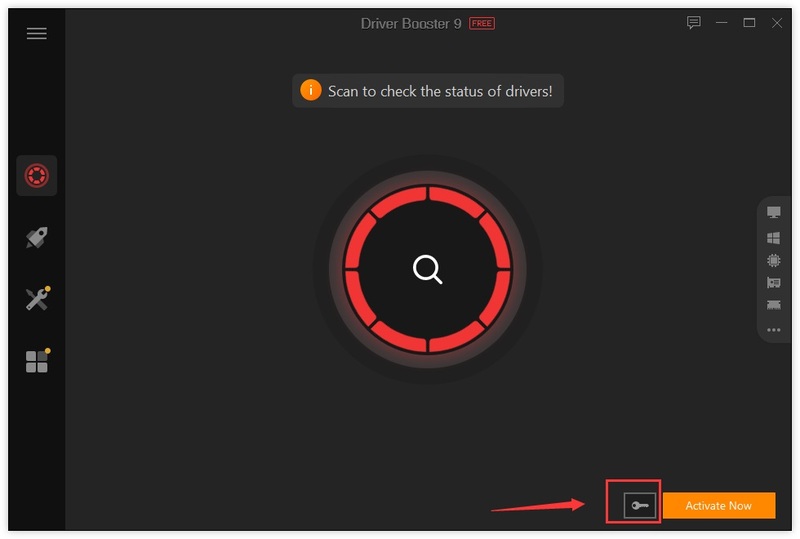 Open Driver Booster 6 FREE, and click the key button on the bottom right of the main screen. 2. 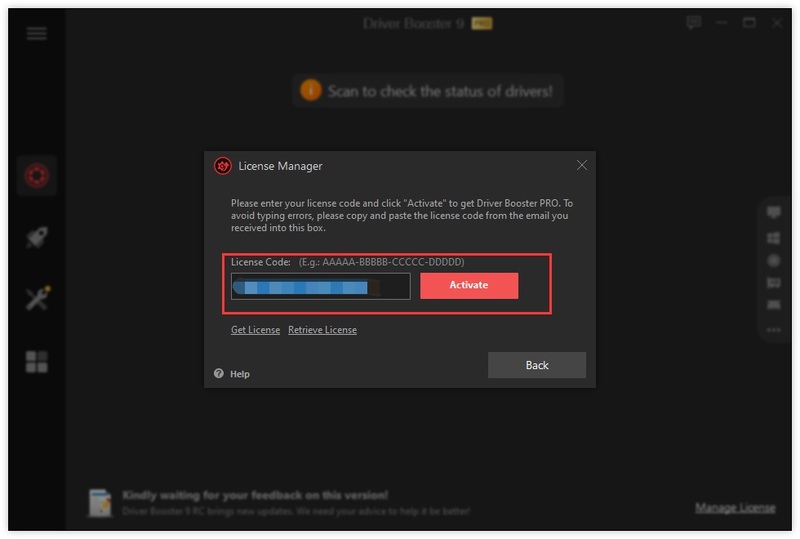 Copy & Paste to enter your license code in the box, and click the checkmark icon at the right side. 1. 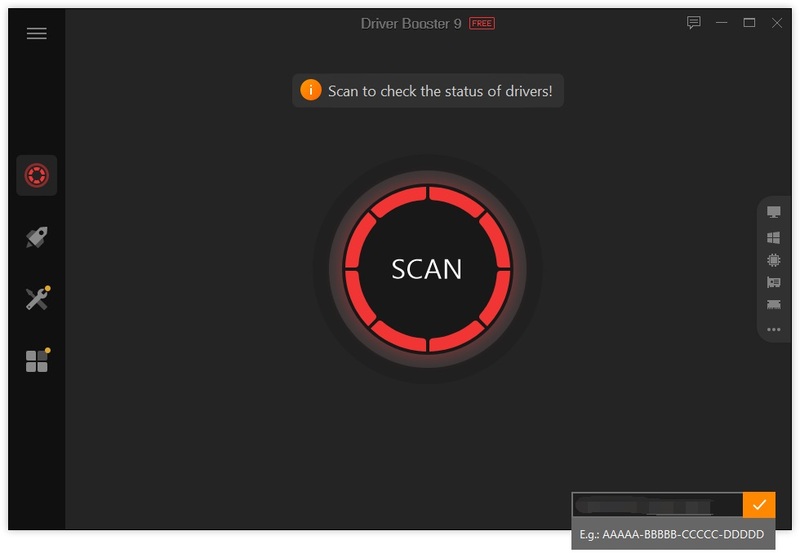 Open Driver Booster 6 PRO, and click Manage License text link at the bottom right of the main screen to open License Manager window. 2. Click Refresh text link. 3. 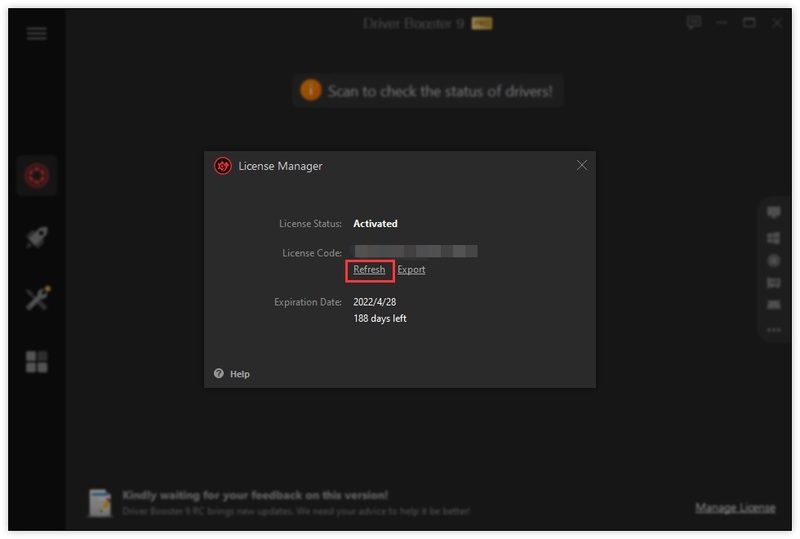 Copy & Paste to enter your new/renewal license code, and click Activate button.